Welcome to Woodbridge, a family orientated town-home complex, in North Surrey's Bolivar Heights. This end unit has it all main floor features include: updated white kitchen, quarts counter tops, stainless appliances & gas range, new flooring throughout, a 2 pcs power room, spacious living room with sliding door to your patio and private fenced yard. Upstairs are 3 generous size bedrooms and 2 bathrooms. The basement has a large rec room, storage room and laundry room. The complex has an indoor pool sauna and sports court for your enjoyment. 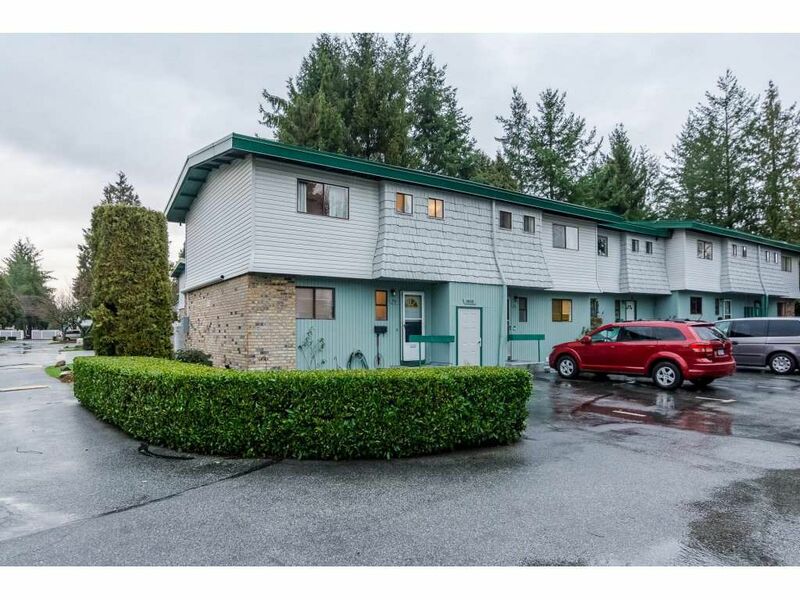 All located within walking distance to elementary schools, shopping, buses to sky train, Guildford mall & rec center and close to Hwy 1 to Vancouver. OPEN HOUSE CANCELED.